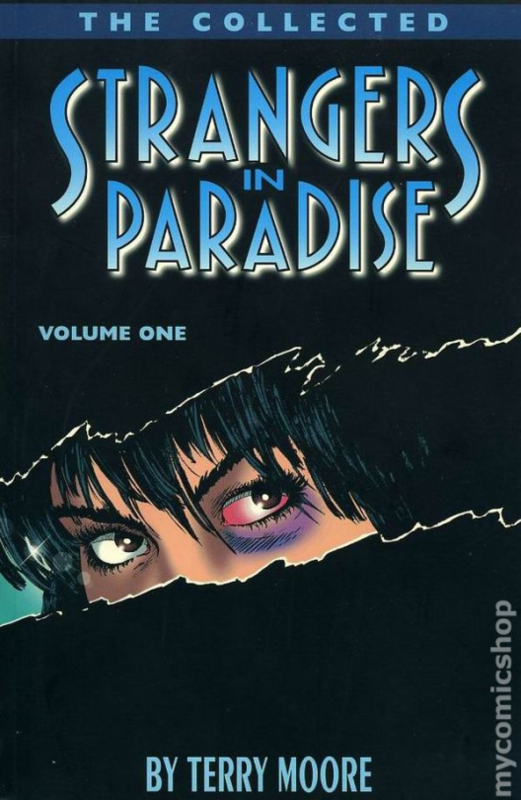 You guys....YOU GUYS...STRANGERS IN PARADISE IS BACK! I’ve got the pocket edition…. But now I get new, I get [i]ongoing, I get….more! I almost never believed this day would come. I screamed when Echo tied in a little bit towards the end, but I thought that that would be it. I figured we’d get little nods in other Terry Moore works, things like that, but that SiP itself was gone forevermore. When I heard the series was coming back I half-dreaded that it would suddenly vanish from the solicitations a week before its release. But now, when I’m actually holding a new #1 in my hand….AAAAAAAAAAHHHHHHHHHH!!!!!!!!!!! I need to get back to reading that. I think I stalled out after the second or third trade, years ago. Not due to lack of appreciation, but due to having too much else to read. I no longer have that problem. I'd offer to loan you my copy, but the logistics might make that difficult. 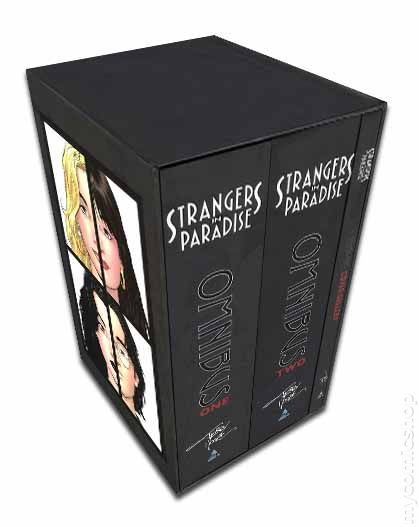 That omnibus looks REALLY cool. 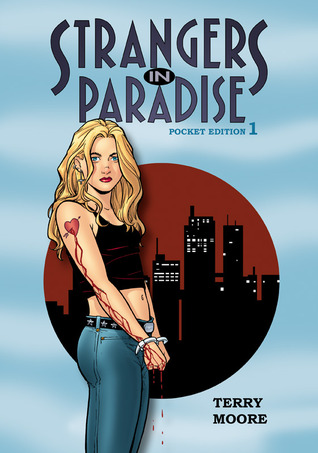 Strangers in Paradise reminded me a lot of Love & Rockets, especially the Hoppers 13 stories. I wonder whatever happened to the Box Office Poison comics Top Shelf was releasing. They were colorized and annotated versions of the original series, but it seems to have died out after a few issues. Why is her eye red? Is she a cyborg or something?